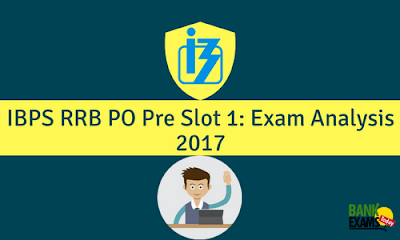 The first slot of IBPS RRB Pre Exam is over and we are here with the overall exam analysis of the exam. According to our information, the paper was not that tough. Students who had great command over the basics of the questions and concepts did not find any problem in the exam. As the exam was easy, the ideal attempt from 80 questions should be between 59-65 questions. According to the new pattern, the paper had 80 questions and two sections. Each section had 40 questions. This section had easy to moderate questions. 3-sets of Data Interpretation included Tabular DI, Pie Chart, and Line Graph. These sets were not very difficult but 3 DI sets did consume some time of the candidates. Overall, the exam was easy. We wish all the candidates all the best.